A rare piece of Ford and Bathurst history is on its way to Mount Panorama to form part of Supercars’ Falcon tribute at this year’s Supercheap Auto Bathurst 1000. The latest car confirmed for the celebration is a rare gem - a Ford Falcon XW GT-HO Phase II that took part in the 1970 edition of the Great Race in the hands of South Australians Kym Aunger and John Walker. The XW GT-HO Phase II Falcon is one of few known cars that remain from the 1970 race and will be on display alongside a collection of famous Falcon race cars in the paddock area at Bathurst, marking the final Bathurst 1000 for Ford’s iconic model. This particular V8 Falcon muscle car has not been seen in public for many, many years and has not been back to Mount Panorama since it competed in 1970. 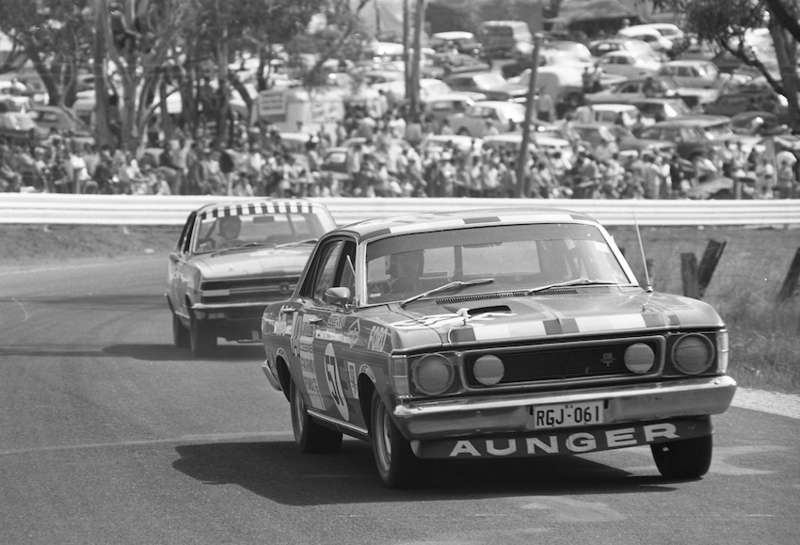 That year marked Allan Moffat’s first of four Bathurst victories, driving a factory-run Falcon XW GT-HO Phase II, while the #57 entry of Aunger and Walker only lasted 18 laps after suffering bearing failure. The pair qualified 28th for the race, lapping Mount Panorama in 3m00.8s, over 10 seconds behind pole-sitter Moffat and almost a minute shy of the record-breaking pole time set by Scott McLaughlin aboard his Shell V-Power Racing Falcon FG X in last year’s Top 10 Shootout. The striking red GT-HO Phase II competed in just one Bathurst event after coming from Adelaide to compete in the October classic. It also raced a week later at Mallala in 1970 and won a 20 lap race, breaking the Series Production lap record there with the late Aunger driving. In all, the car completed just 38 laps of racing in a two week period and was unscathed before being laid up for a couple of years. “We are delighted to have our car on display in Bathurst this year and hope the true enthusiasts enjoy seeing it as well,” said the car’s owner, who wishes to keep their identity private. The previous owners of the car purchased it in 1972 from Southern Cross Motors Victoria. The roll cage and racing livery had been removed before it was sold and the previous owners had used it as a family car. The car has done 89,000 miles and has original interior except for new carpet fitted when the car was painted for the first time in 2003. “We were so excited to find this car, put the roll cage back in and get the livery made exactly as it is was raced at Bathurst in 1970,” said the current owner. “We have actually purchased the plates with the exact number and colour as the car was originally registered in South Australia and raced with. “CAMS representatives said the car was in exceptional condition when they came to inspect it for its Certificate of Description.